Washington Pools is a full service swimming pool and hot tub company. We will build you the inground pool of your dreams and teach you how to care for your new pool and keep the water crystal clear. Pool need some updating? We have an excellent service crew who will make your pool look new again. 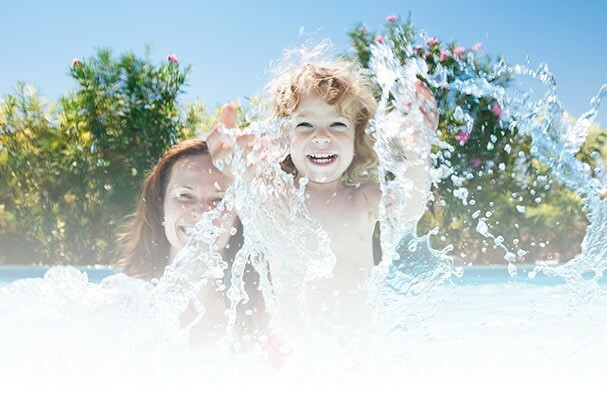 We can take care of all your pool service needs such as: new liner, adding a set of walk-in steps, update plumbing, install new equipment, and much more. Just ask us we can get you set up and get your pool running and looking the way you would want it too. For those cool evenings we can get you into a hot tub to calm you from a long day and relax your tired muscles with therapeutic benefits. Already have a pool or hot tub? Just move into a house with a pool or hot tub? Come into our store to and have a chat with our very knowledgeable staff. We will explain how to properly maintain your pool or hot tub and teach you about water chemistry. Ian Washington, the owner has been in the business for over 30 years. He cares about the quality of products and workmanship that is provided by Washington Pools. You can be assured that you are getting products and equipment that are backed by excellent manufactures warranties. We have a large selection of parts in stock and staff who are knowledgeable in troubleshooting and getting you set up with what you need to get your equipment running and keep it maintained. Come in and see our showroom and meet us today! We look forward to helping you with all your pool and hot tub needs.